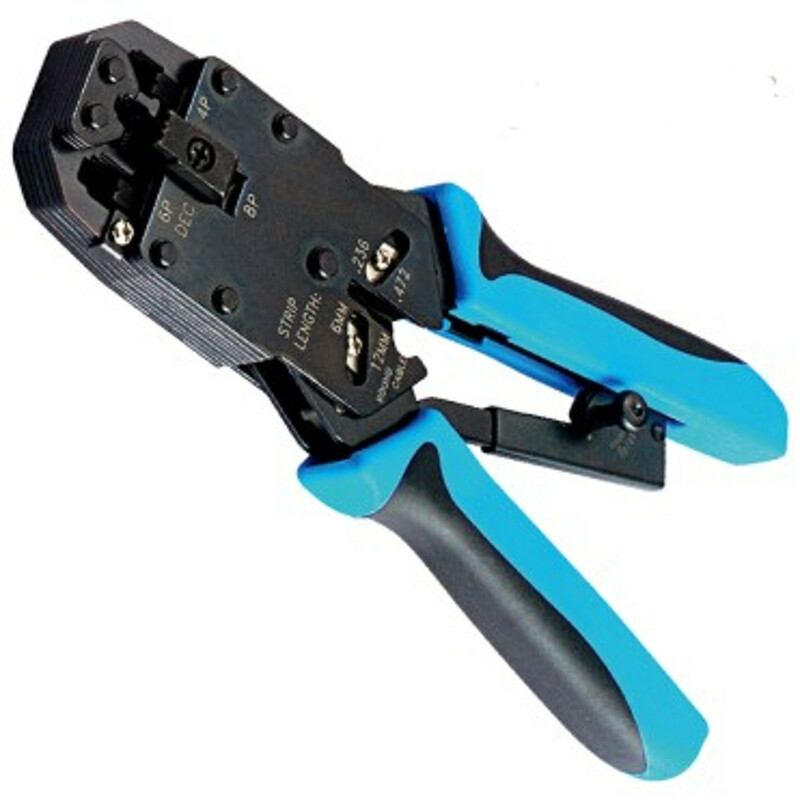 A professional modular crimping tool that will crimp RJ-45(8P8C), RJ-12(6P6C), RJ-11(6P/4C), RJ-22(4P/4C & 4P/2C), and DEC/Off Set Plugs(6P/6C). This tool will work for solid and stranded wire and has a built-in cutter on the rear and a stripper on the front. The smooth ratcheting mechanism will ensure positive connections each time and the fully metal frame and built-in dies will last and last.